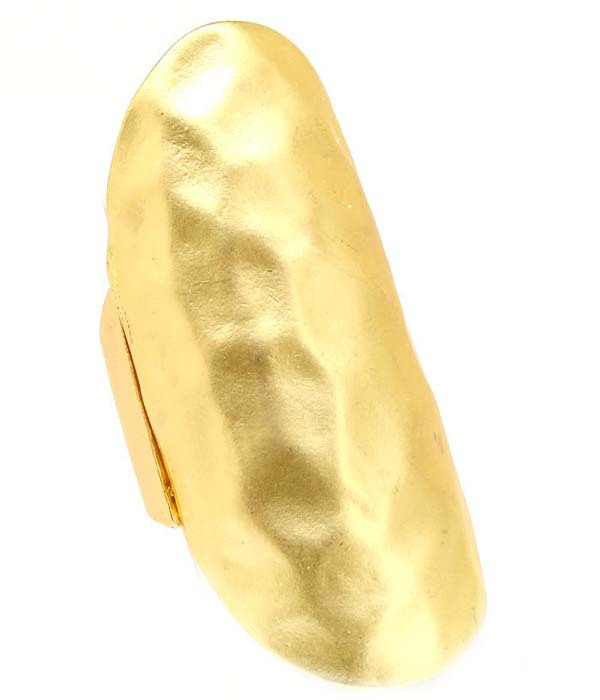 Designed especially for fans of modern and laconic style, Khloe ring is made from hammered gold plated metal. The ring features oblong rounded shape and adjustable back. Perfect for everyday wear. Purchase one of our fashion rings and other jewellery to qualify for a free bonus bling gift.